The Alula Sectional Sofa is a wonderful addition to any contemporary home. With it's beautiful design and fantastic features this sectional will add that extra pizazz you want in your living room. Available in over 300 different upholstery options, you can design the Alula Sectional to fit perfectly in your home. The Alula 77427 Sectional Sofa with Love Seat and Chaise by Palliser is available in the area from furnishingretailers.com. 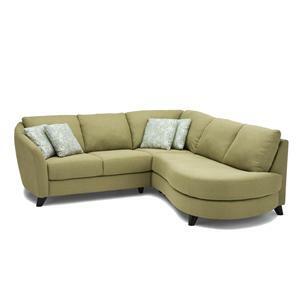 77427-07 LHF Loveseat 1 53" 37" 33"
77427-11 Corner Square 1 37" 37" 33"
77427-19 RHF Bumper 1 55" 37" 33"